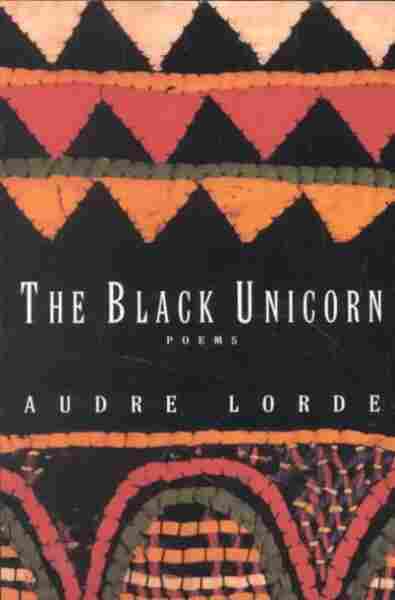 Book Review: 'The Black Unicorn,' By Audre Lorde | This week, a Missouri grand jury decided not to indict Darren Wilson, the officer who killed Michael Brown. Writer Syreeta McFadden turns to Audre Lorde's poetry to make sense of this decision. Each time I re-read this stanza from "A Litany For Survival," the chaos and confusion I feel is cleared away. The lines are clean and defiant. They name our aches, our hurts, the paradoxes of our living, and slay that demon that dogs our days, fear. By the poem's end, I'm washed clean. It's a blessing and a baptism and a challenge to me to engage in a world that would seem to deny my life. I needed it again, when news came of the shooting death of Michael Brown, and then again this week. This poem is meant to break spells and fevers. That line, "we were never meant to survive" warns us of difficulties that will come. I think of this poem when I see photos of black millennials protesting police brutality. Fire and smoke envelop them as they face off with the police force of what was once just another city in the middle of America. This is a poem fitting for these times. Syreeta McFadden writes for The Guardian.